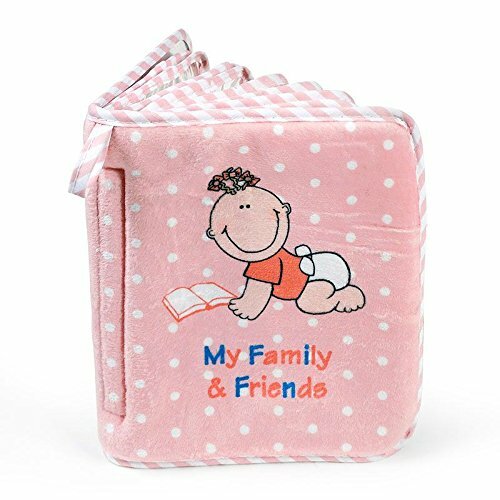 Generous size, holds 15, 4 x 6 photos of baby's favorite family and friends. Fill baby's first album with all the people who love baby. Includes loop for hanging on stroller crib, car seat, or play pen. Pretty in pink, soft cotton fleece material. Surface washable. Includes a complimentary reusable vinyl travel pouch. Baby-safe newborn and up.